Singapore’s maritime industry is a dynamic ecosystem of maritime and port services, home to over 130 international shipping groups and the driving force behind Singapore’s port and maritime development. Its success is due in part to the Maritime and Port Authority of Singapore (MPA), established to safeguard and advance Singapore’s strategic maritime interests. MPA takes on the roles of Port Authority, Port Regulator, Port Planner, IMC Champion, and National Maritime Representative. These roles enable MPA to enhance safety, security and environmental protection in our port waters, facilitate port operations and growth, expand the cluster of maritime ancillary services, and promote maritime R&D and manpower development. In view of such an exciting industry, there’s no surprise that many have chosen to take up the MPA scholarship for a chance to be a part of the action. Nelson Tay did, and he is well on his way towards an eventful career at MPA. Nelson tells us that, back when he was pursuing his diploma in engineering informatics at Nanyang Polytechnic, he had envisioned a career in IT companies such as Microsoft, IBM or Hewlett Packard (HP). But his dreams took a change in course after he undertook a six-month internship at the PSA Corporation. With his scholarship, he was given the chance to develop an IT programme to facilitate various work processes in MPA’s HR Division. 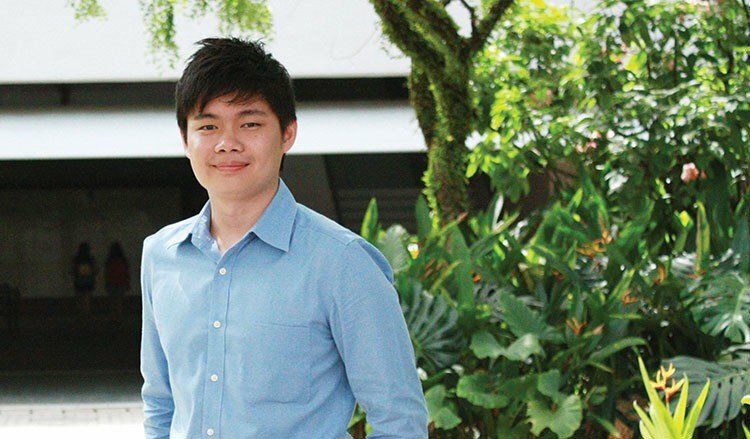 Even though he is still studying in Nanyang Technological University (NTU), he has already been able to interact with future colleagues through the programme, and given exposure to work life after graduation. “It was also a good chance for me to put my skills to good use,” Nelson muses. In fact, together with HR colleagues, Nelson has even participated in scholarship fairs as an ambassador to promote his scholarship. His participation allowed him to share his experiences and journey with students and their parents. Nelson makes it a point to keep himself updated about latest technologies, in order to add value to MPA’s work processes and systems when he joins the organisation. “I see myself playing a key role in making sure our IT systems support our world class port. I am glad to have been given the opportunity to be part of this vibrant maritime ecosystem, and I look forward to contribute more meaningfully in MPA,” Nelson tells us spiritedly.